This year’s YFC dinners will be held at the cafetorium in the new Greenville City Schools K-8 building. “It’s a beautiful facility,” continues Crawford. “Everyone will have a seat close to the stage due to the orientation of the room and there is direct access to the space from the back parking lot of the school. 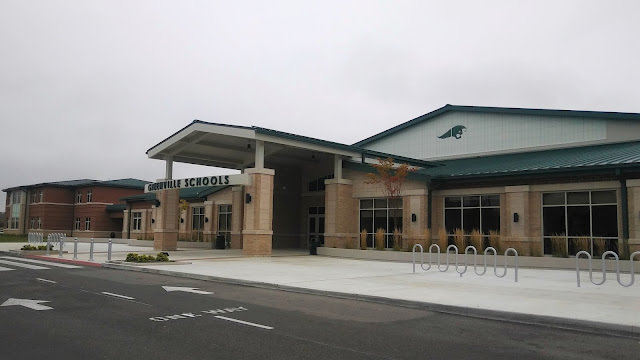 We chose to move to this facility this year, in part because of how nice it is, but also because meeting in a school will give our guests the opportunity to better reconnect with what it’s like to be a kid,” Crawford said. Perhaps most people would agree this is an unsettling time for kids to grow up in right now. Though material prosperity is common, so are things like anger, bullying, drug use, suicide, and all types of abuse. Sometimes, even home isn’t a safe place. But a safe place is what we all need. Guests at the Youth for Christ banquets can help give teenagers a safe environment in which to wrestle with important issues and to find direction and purpose for their lives. Even more important, by partnering with Youth for Christ, adults can help teenagers come to know and follow Jesus, who is the ultimate safe place. There is no obligation for anyone attending the YFC banquets to become involved since expenses for the dinners are underwritten. However, for those that are inspired to help lost and broken teens come to know and follow Jesus, the YFC banquets will inform about plenty of ways to make a difference for kids, including through investments of finances, prayer, time, and influence. The Youth for Christ banquets will begin at 6:30 pm on Monday, November 13 and Tuesday, November14, with the same program presented both nights. The evenings will begin with a delicious meal prepared and served by Michael James Catering, followed by testimonies of students, former students, and community leaders. People who attend the banquet can expect to be entertained, inspired, and informed through what takes place. Every adult is invited to attend one of the YFC banquets. In fact, you can even host a table and invite a handful of friends to come along. There is no cost to attend or to host a table, however reservations are required. Those interested in attending, hosting, or wanting more information should contact Youth for Christ at office@yfcmv.org or by calling 937-548-2477.